We’re still trying to settle on a name for this project. Initially our thought was ‘Aetheric’ referring to the white open spaces incorporated in the letter forms. Not quite sure that fits now, as things have evolved. 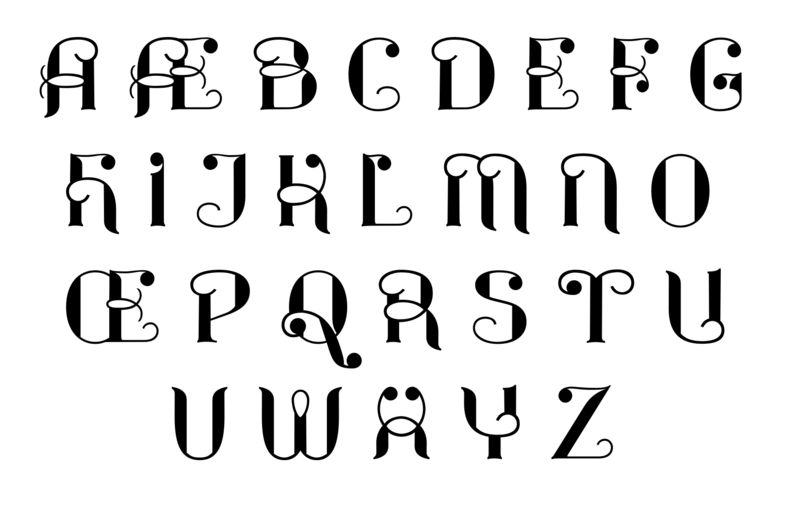 ‘Ether’ is certainly a good name for a typeface, but maybe not this one with it’s strongly geometric character. Any ideas anyone?